Letranger Absurde has built a few pieces of furniture to go in his next build. 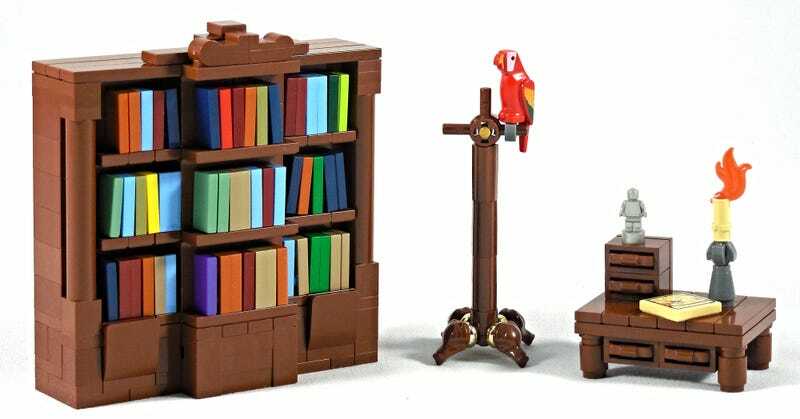 There are some truly impressive uses of pieces here: Bucket handles for drawers on the small desk, minifigure legs to complete the top of the bookshelf, and the most impressive being the frogs at the base of the coat rack with gold rings on their butts attaching them to the upright. These will go wonderfully in his study and are a great addition to the HARDnuary contest.